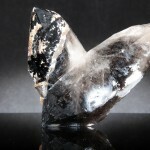 This amethyst point has a hint of smoky quartz. 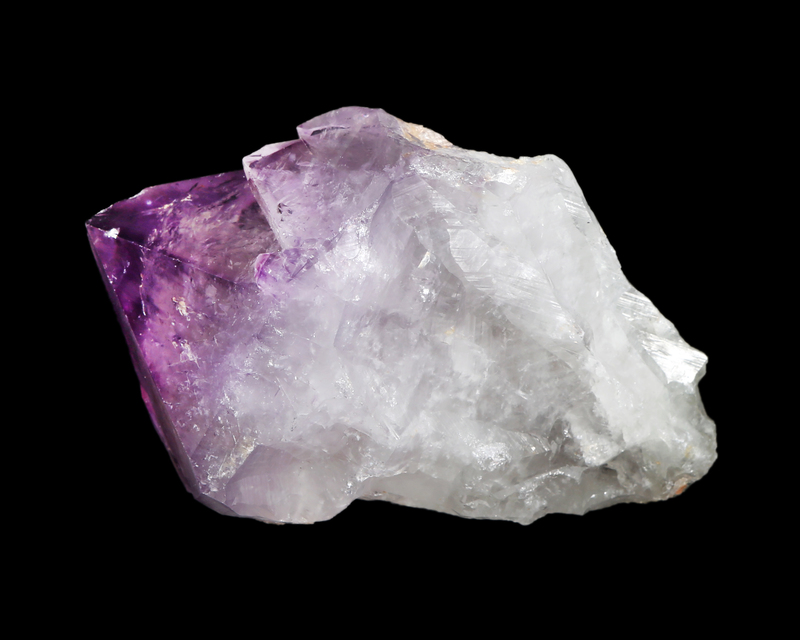 The radiating shades of purple, lilac and mauve, amethyst is the purple ray of the quartz family which is comprised of silicon dioxide which is the second most abundant mineral in the Earth’s continental crust. The word amethyst comes from the Greek meaning “without drunkenness” and amethyst is believed to protect one from poison. 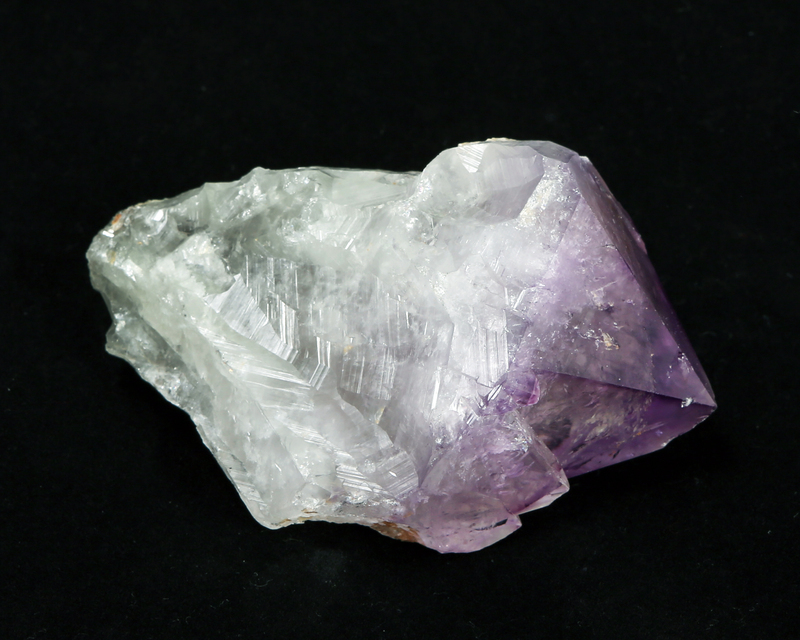 HISTORY, NAME, LOCALITIES: Amethyst has served as a gemstone since ancient times. Its name stems from the Greek amethystos, meaning “remedy against drunkenness,” alluding to its purported power to prevent inebriation. Important amethyst localities are found in Brazil, Uruguay, Pakistan, Russia, Namibia, and the United States (Arizona, Colorado). 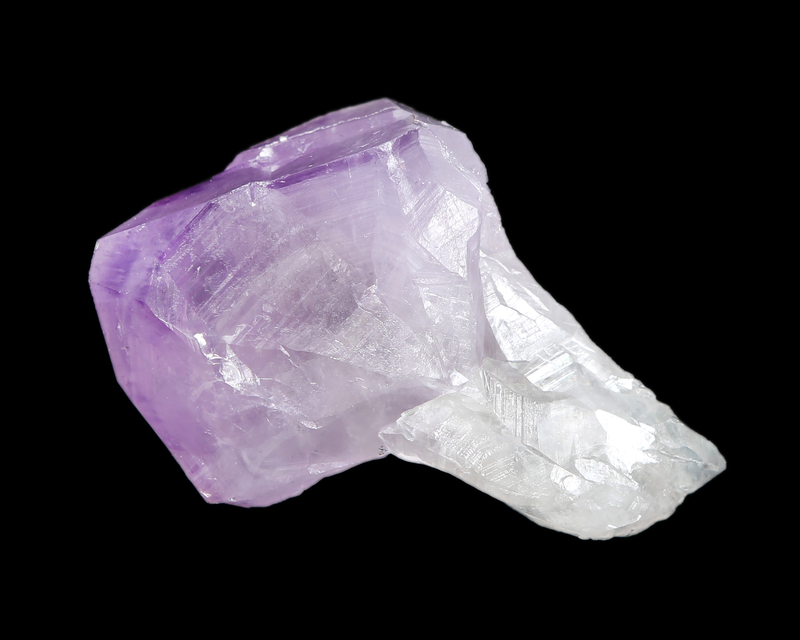 MINERALOGY, PROPERTIES, OCCURRENCE: Amethyst, pronounced AHH-ma-thist, is the transparent, purple, gem variety of macrocrystalline quartz [silicon dioxide, SiO2). 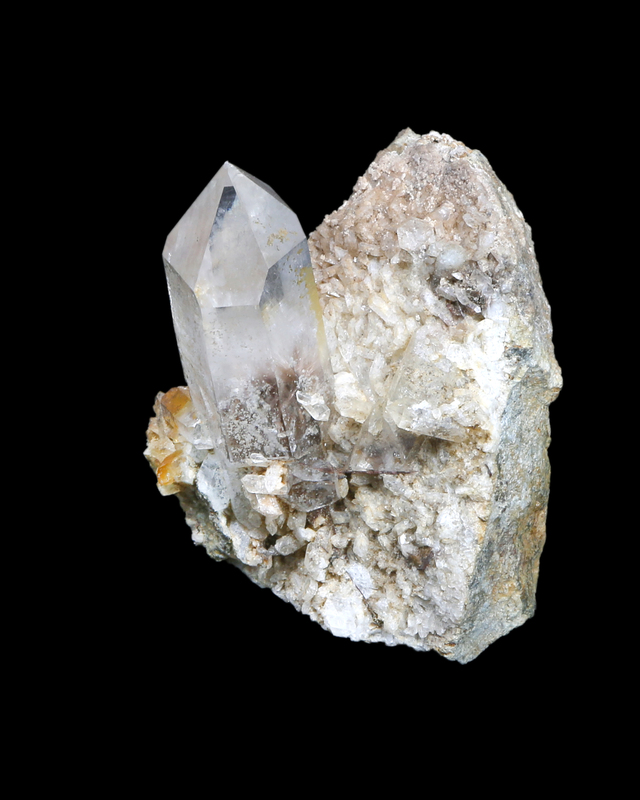 It crystallizes in the hexagonal system and occurs mainly in hydrothermal veins, granite pegmatites, and as geode linings as short-to-long, hexagonal, prismatic crystals with a distinctive and diagnostic purple or lilac color that is caused by traces of iron. 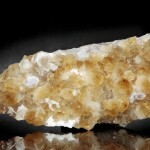 It has a Mohs hardness of 7.0, excellent transparency, conchoidal fracture, vitreous luster, and specific gravity of 2.65. 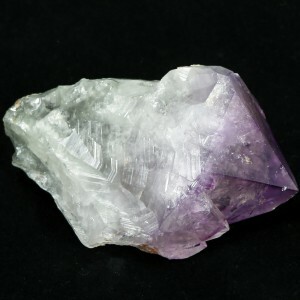 METAPHYSICAL PROPERTIES, LORE, USES: Over the centuries, many cultures have endowed amethyst with supernatural powers that bring good luck, ensure constancy, and protect against homesickness, magical spells, and drunkenness. Amethyst is the most highly valued member of the quartz-gemstone group and is faceted into gems that can weigh 10 or more carats. Massive amethyst or stones of lesser quality are tumbled into beads, fashioned into cabochons, or cut into decorative items. COLLECTORS’ INFORMATION: Amethyst is widely collected for its range of purple-lilac colors, excellent crystal development, and frequent occurrence on large crystal plates and geodes that make eye-catching display pieces. 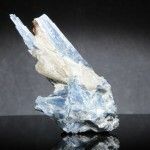 Kyanite, Blue in Quartz 3 1/2" x 1" x 1/2"